With our vast industry experience, we have established ourselves as the prominent manufacturer and supplier of sophisticated Automotive Pipes. Our offered range is manufactured under the guidance of our qualified professionals using high grade raw material and modernize machinery in accordance with set industrial standards. 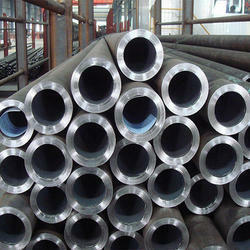 These Pipes are widely demanded in the market for their high strength, corrosion-resistance and durability. Moreover, clients can avail the entire range from us in various customized options and at industry leading prices. Our range o fASTM A106 A106m - 13 Carbon Steel Seamless Pipes IBR are widely acclaimed for their features such as high tensile strength, smooth internal finish and hardness. Designed with precision, these pipes are ideal for marine applications, nuclear power and fossil fuel power plants, transportation, petroleum plants and construction. 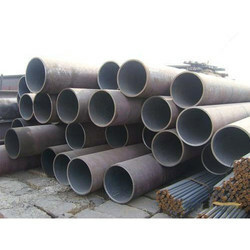 These seamless alloy/carbon steel pipes, carbon welded pipes are generally developed for energy-related applications involving oil and gas drilling. Further, our range of pipes can be availed in different material and dimensional specifications as per specific application. 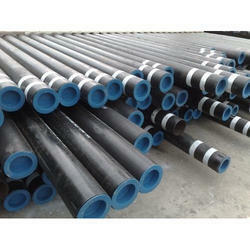 We are among the presumed organization which trades supreme quality ASTM A335 P22 Pipes. Our Alloy Steel Pipes are made from premium quality steel and raw materials fabricated using the most modern technology. These ASTM A335 P22 Pipes that we offer have supremacy chrome varnish to ensure corrosion resistance and durability. SCH:- 5S , 10S ,10, 20 , 40S , 40 , STD , 60 , 80S , 80 , XS , 100 , 120 , 140 , 160 & XXS. 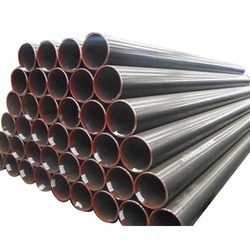 Carbon Steel Pipes and Tubes Pioneers in the industry, we offer china prime ibr pipes, cs tubes, seamless pipes efsw astm a312 tp304 class 1, steel pipes efsw astm a691 class 42, carbon steel tubes efsw astm a691 class 42 and seamless pipes efsw astm b705 uns 8825 from India. We have attained huge success in supplying and distributing matchless quality China Prime IBR Pipes. These pipes are known for excellent durability and superior finishing aspects, owing to their procurement being done from authentic vendors. We are equipped with sophisticated in-house manufacturing system with advanced machine that ensures faultless products. In order to meet variegated demands of clients, we provide these products in customized dimensions as per their requirements. 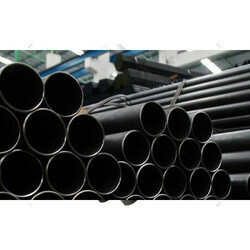 Carbon Steel Seamless Tube Carbon Steel Tubes Pipes exported and supplied by us are well known for their durability and precise design aspects in the market. Our offered pipes are widely used in heavy engineering industries and power plants as transfer lines for hot fluids. We aim at serving vast clientele base by manufacturing these pipes with the use of high-grade steel and advanced technology. Carbon steel is used in the most critical engineering applications and also in certain applications in the automotive sector. In addition, some of the value-added carbon steel products include steel for LPG cylinders, api grade, corrosion resistant steel, critical structural application steel, boiler quality, auto grades, precision tubes and medium/high carbon grades and among others. Non-Schedules : . 120wall, . 156wall, . 188wall, . 203 wall, . 219wall etc. Approx. Price: Rs 54 / Kilogram. We are counted as major enterprise involved in exporting and supplying Jindal Seamless IBR Pipes. These pipes are well acclaimed for their high robustness and superior finishing as these are procured from reliable vendors. Our vendor manufactures them with the use of finest grade material and contemporary technology. Furthermore, we make bulk supply of these products to our customers with uttermost perfection. 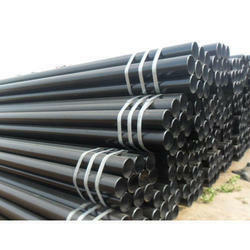 Hitech Metal Tubes is Leading Exporters of Jindal Seamless PipesBest Quality Steel Pipes !! Genuine Suppliers of Jindal Seamless Pipes, Look Up Quick Results Now!, Better Deal On Bulk Jindal Seamless Pipes., Supplier of Jindal Seamless Pipes India, Call us Now Get Free Estimates! 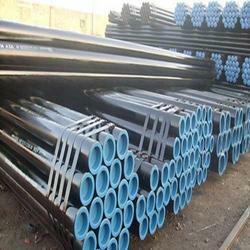 PARMAR STEEL are leading supplier, manufacturer, trader and whole seller the supreme MS Black Piping in India. 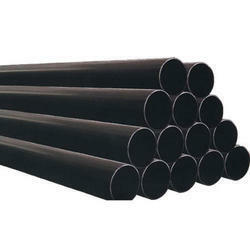 The use of hi-grade mild steel in the manufacturing of the Mild Steel Black Pipes ensures high durability, tensile strength and resistivity to adverse conditions. We offer Seamless Tubes that are used in various engineering purposes, fencing, scaffolding, line tubes etc. Stainless steel seamless tubes are available in various qualities, wall thicknesses and diameters of the finished pipes. Make :- Imported "/ "Sumitomo / indian"
Test Certificate :- Mill T.C / Government Laboratory T.C "
Our firm specializes in offering an excellent range of Special Tubes. This innovative range of tube is widely demanded in various industries for meeting diverse applications. To maintain industry defined quality standards, the entire range is manufactured using quality proven raw material and cutting-edge technology. Also, the entire range is examined properly by our quality experts upon distinct parameters of quality. Provided range is widely acknowledged among our clients for its strong construction, easy installation and durability. Sch :- Sch-10, Sch-20, Sch-40 ,Sch- 60, Sch- 80, Sch-100, Sch-120, Sch-160, Sch- XXS. Length :- 4 To 7 Mtr Long. A) For each reduction of 0.01% below the specified carbon maximum, an increase of 0.06% manganese above the specified maximum will be permitted up to a maximum of 1.35%. B) These five elements combined shall not exceed 1%. 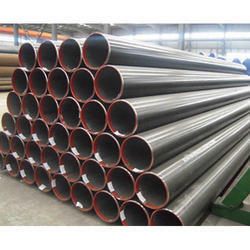 Carbon steel Seamless IBR Pipes Offering you a complete choice of products which include carbon steel astm a106 gr a seamless ibr pipes, carbon steel astm a106 gr b seamless ibr pipes, carbon steel astm a106 gr c seamless ibr pipes, carbon steel astm a53 grr.a seamless ibr pipes, carbon steel astm a53 gr.b seamless ibr pipes and carbon steel astm a333 gr 1 seamless ibr pipes. We are referred as preeminent entity manufacturing, supplying and exporting superb quality Carbon Steel ASTM A106 GR A Seamless IBR Pipes. 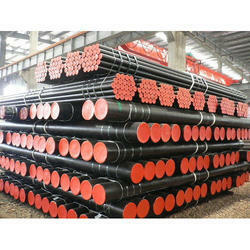 These pipes are much appreciated for their high endurance and seamless finishing traits. Our offered pipes are manufactured in compliance with latest norms with the use of high-grade steel, thus imparting high thermal bearing capability and resistant to corrosion. Moreover, we provide utmost assurance of timely delivery through our reliable distributors network.